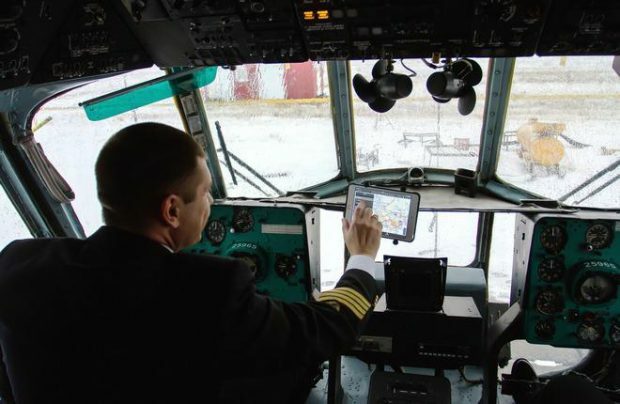 UTair – Helicopter Services has become Russia’s first rotorcraft operator to switch from paper-based flight documentation to portable tablet-based electronic flight bags (EFB). The carrier uses EFBs for domestic flights. The digital format has significantly improved the pilots’ access to flight reference materials, such as aerial navigation maps and airport and helipad charts. The system provides timely updates for aeronautical data and brings down the operating costs. UTair – Helicopter Services has also introduced the proprietary application HeliPad to help crew calculate take-off and landing parameters for all rotorcraft types in the operator’s fleet. Prior to the issuance of the Federal Air Transport Agency’s approval, the EFBs had been flight-tested for six months. Parent carrier UTair Aviation introduced EFBs on its fixed-wing aircraft in 2016. The carrier chose the Boeing Onboard Performing Tool and the Single-point Performance Software, which is used for take-off and landing calculations. It also uses Meridian.Alliance software to streamline resource planning and automate business processes. Switching from paper to e-document management is a global trend for the airline industry. In Russia, the technology has already been introduced by Aeroflot, Rossiya Airlines, and Nordwind Airlines.